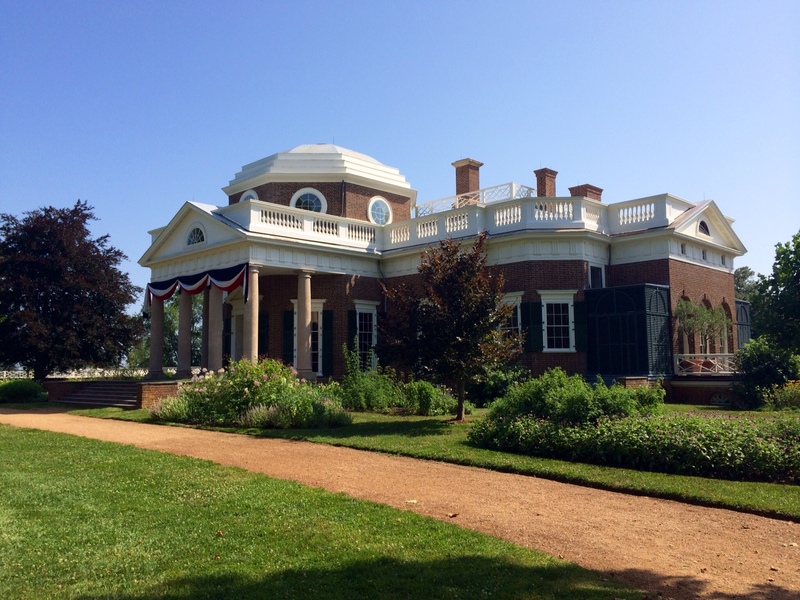 Inside a 19th century slave house on the edge of Thomas Jefferson's Monticello plantation, young African leaders are finding historical models to follow - and some not to. "They're here in what might be called the Silicon Valley of democracy, Jefferson's Monticello, Monroe's Highlands and Madison's Montpelier, so [we're] talking a little bit about how civil society has developed here," said University of Virginia Vice Provost for Global Affairs, Jeffrey Legro. "It's an inspiring place for both what worked, and what didn't work." Twenty-five fellows from across Africa are studying leadership and democracy this summer at the University of Virginia, William and Mary and surrounding historical sites - together, called the Presidential Precinct. It's a part of the first-ever Young African Leaders Initiative fellowship program, announced by President Obama last summer and sponsored by the State Department. Five-hundred fellows across the country are completing six weeks of study, and will then participate in a town hall with the president and first lady. "I really appreciate these courses because it's going to give you tools to explain your vision to people," said Martine Ekomo, one fellow studying in the Presidential Precinct. Martine's vision starts with returning home to the Central African Republic, a country torn by a violent sectarian conflict between Muslim and Christian fighters. According to the United Nations, thousands have died and over half a million have fled their homes. Ekomo believes the lack of jobs for young people is contributing to the problem. "You don't have [a] job, you don't have skills, how can you visualize your life? You just believe that there's nothing else to do, you don't believe in yourself... so it's easy to say yeah, okay you have nothing to do, join us, join the rebels," she said. To combat that problem, she wants to start a youth center - a safe haven where young people from different communities can go to learn skills and also gain an understanding for each other. "My vision for my country is reconciliation and peace, [to] make people happy, to believe in a better future," she said. "I think that it will take a long time to do it, it's a long way to go, but when you work with hope, everything is possible." It is an optimism Martine will take with her to Washington and beyond. Additional photos provided by Neal Piper Photography and Kenton Rowe Photography, courtesy of the Montpelier Foundation.